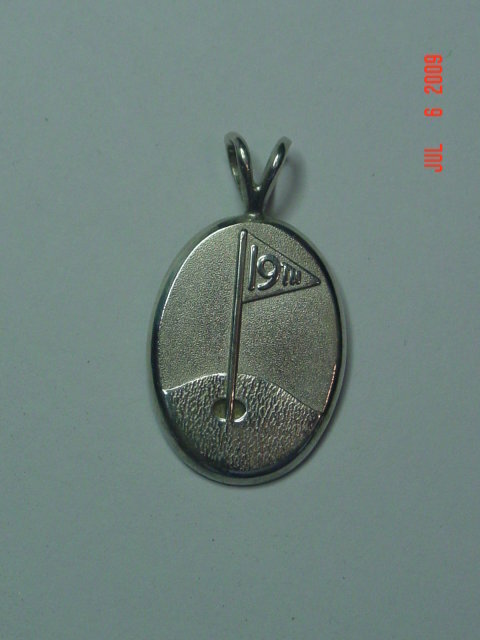 Oval sterling silver golf pendant with a 19th hole flag on it. The back has a copyright symbol, and JCF STER. It is in excellent condition. 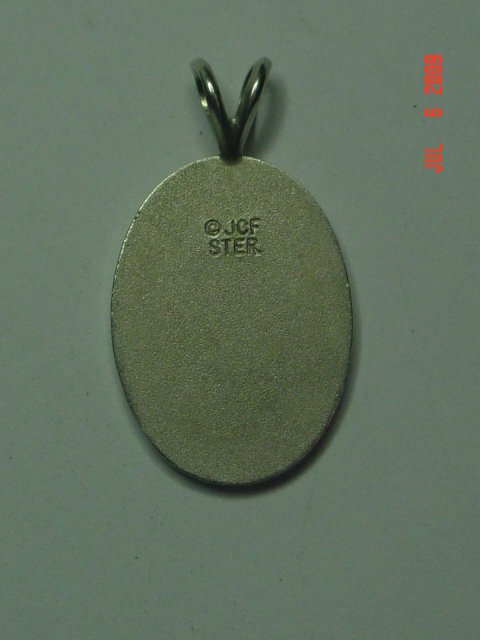 Items Similar To "Sterling 19th Hole Flag Golf Pendant"